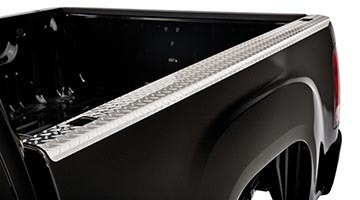 Protect Your Bed Rails, Tailgate & Bulkhead! 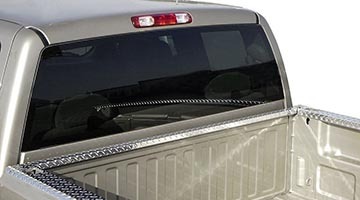 Get a great custom look and protect your truck from dents, dings, and scratches. 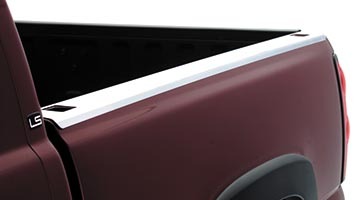 Our custom fit Bed Side Rail Caps are bent and formed of the highest grade materials for the best possible fit. They're available in heavy-gauge, diamond-plate aluminum or mirror-finish stainless steel finishes, and you may select from your choice of with (or without) stake pocket hole cutouts. 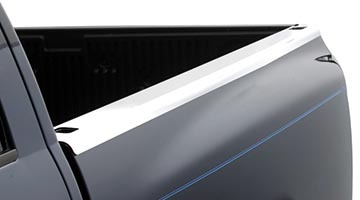 All Bed Side Rail Caps are sold in pairs. 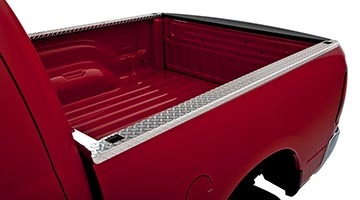 Optional bulkhead and tail gate caps are available.